Every year we bring the best burger of the summer. 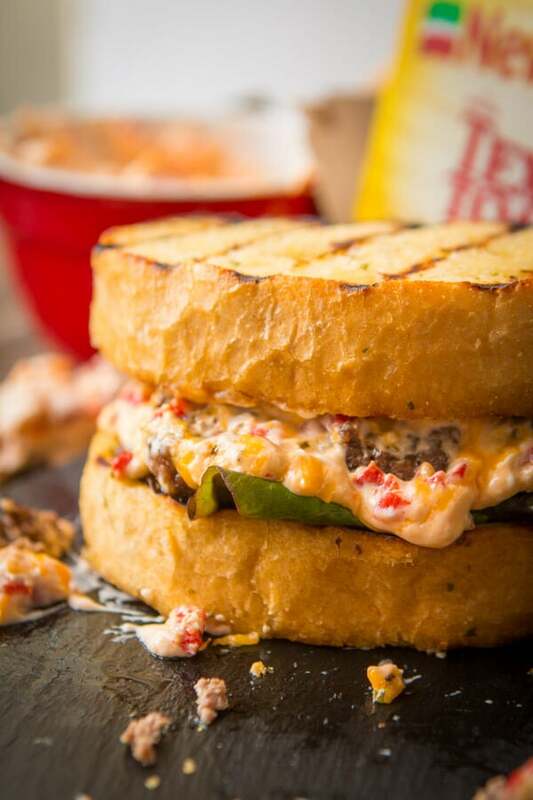 This year is a Southern Pimento Cheeseburger on Texas Toast! I bet you wouldn’t be surprised to learn that I hated hamburgers until a few years ago. I know you’ve all read our most popular recipe, Cheesy Ground Beef and Rice Casserole, one of our quick and easy dinner ideas that is perfect for picky eaters, which I was as a kid. 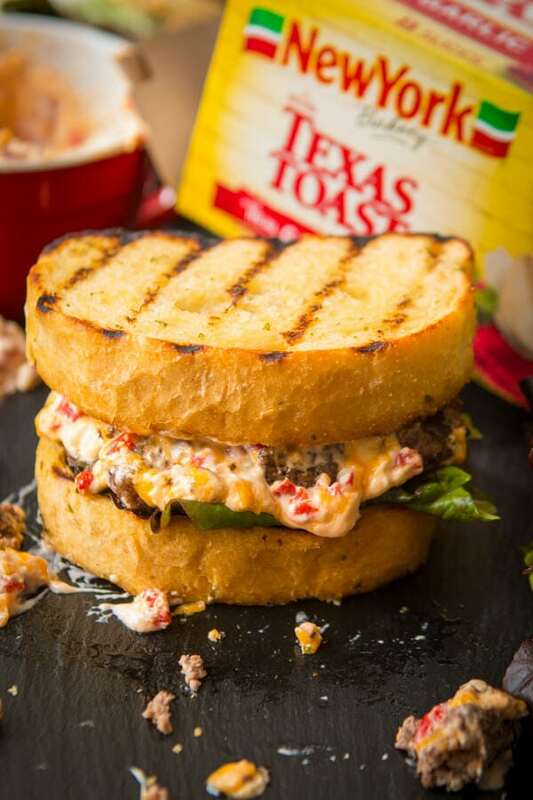 But Cade has changed me so when New York Bakery® Texas Toast challenged us to use their Texas Toast for a grilling recipe I wanted to try something familiar while Cade pushed for something new and different. Can You Cook Texas Toast in a Toaster? Texas toast slices are cut too thick for a regular electric toaster, but you can grill, broil, oven-toast or pan-fry it. The bread slices for Texas toast are usually spread with butter or garlic butter before being cooked — another reason using an electric toaster is not an option. I actually really loved New York Bakery Texas Toast as a kid. It is the ultimate garlicky toast to serve with dinner, and that goodness is something even the pickiest of eaters cannot resist. I was so stinking excited to figure this one out. I wanted to go grilled Italian sandwich when Cade brought up a Southern Burger. Now that’s a good idea! Cade was right, a combination of my love of Texas Toast as a kid and his southern roots was a perfect marriage. Cade suggested we go for a southern cheese so clearly it had to be pimento cheese. We learned years ago that it’s not about picking one over the other, our best recipes come from letting both people have a say so that’s what we did. Now, on to the recipe! 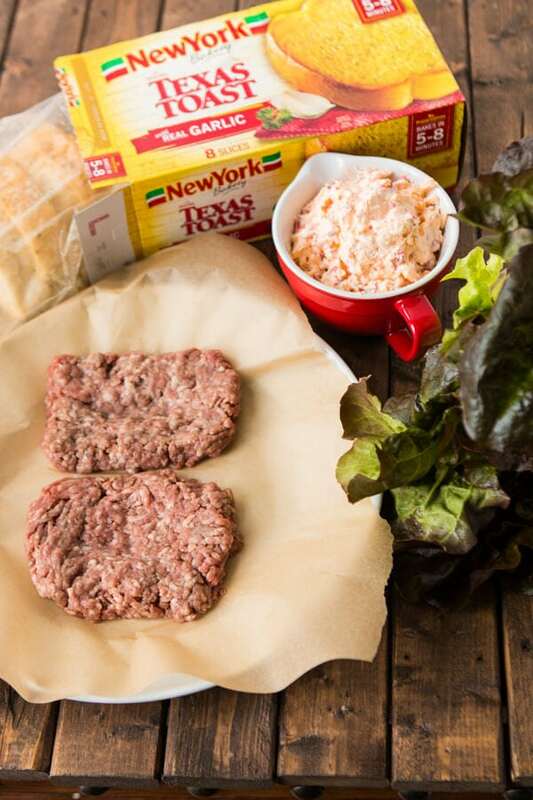 Did you know you can grill FROZEN New York Bakery Texas Toast?! It’s so easy, just remove it from packaging and place it right on the grill, turn it on and cook until grill marks appear. If you think you love that crisp on the outside and squishy soft on the inside Texas Toast just wait until you grill it. Grilling really brings out that garlic and oh my goodness it becomes better than ever! The burger needs our special meat blend from our post on 2 Secrets for the BEST hamburger. The pimento cheese spread is going to provide all the flavor we need so just salt and pepper on the burger itself. So, once you get the burger meat shaped go ahead and make your spread while the meat rests. Place the burgers on the grill and cook until desired temperature, flipping halfway through. The last few minutes place the bread on the grill and watch for those grill marks! The pimento cheese should totally be added after the first flip so it can get melty. We went back and forth on putting it on the bun but loved how it melted all over the hot burger. We quickly realized we need lettuce on the bottom bread or the juices made it soggy. Top it with that gorgeous grilled bread and dig in!!! 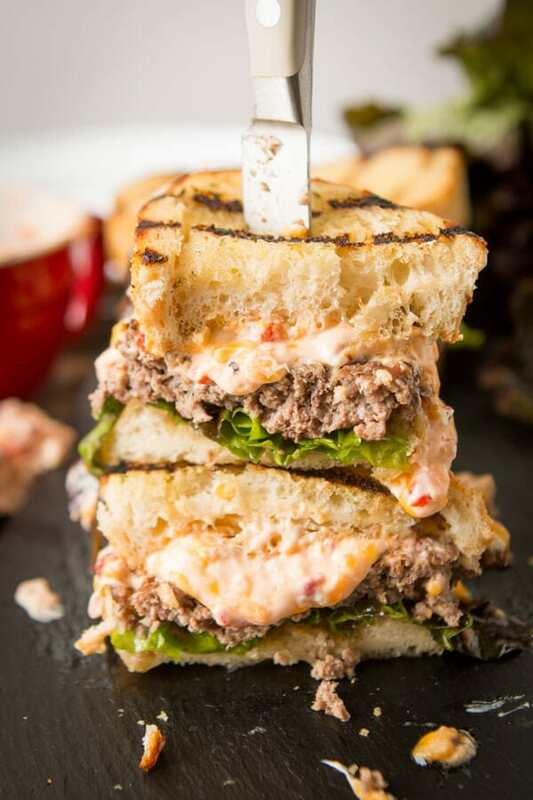 Can You Eat Southern Pimento Cheeseburger the Next Day? They are still edible the next day, as long as you refrigerated it. Oh, and go ahead and prep the burgers and cheese even a whole day ahead if needed. AND!! Comment with your favorite thing to grill for a chance to win a $50 Visa gift card!! Click this link for the burger blend on our 2 secrets for the best hamburger post. Place cream cheese and mayonnaise into a large mixing bowl and beat at medium speed until thoroughly combined. Mix till combined, then add pimentos. Season to taste with salt and pepper and tabasco. Rub the grill with an oil soaked paper towel. Pat the burger meat out and sprinkle with salt and pepper on each side. Place on a grill heated to high heat and turn down to medium heat. Grill on each side until desired temperature, about 4-5 minutes for medium. 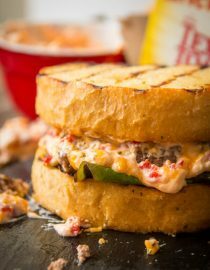 After the first flip of the burger, add the pimento, and place the bread on the grill, and close the lid to finish cooking. Turn the bread once and then remove everything from the grill. Place a little lettuce on one piece of bread, next the burger and close it up with another piece of Texas Toast. This is a sponsored conversation written by me on behalf of New York Bakery®. The opinions and text are all mine.